Beautifully hand-crafted Christmas ornaments bring a little Aloha to your holiday decor. Many designs and materials to choose from. Each one is carefully made by highly skilled artisans. Many are made in Hawai'i. We are constantly receiving new shipments of ornaments, so please contact Robyn at Robyn@LauhalaTrading.com or (808) 949-7371 for an updated listing of ornaments in stock. Intricately hand-painted, round ceramic Christmas ornaments. Made in Hawai'i. Flower Christmas ornament woven from pandanus and young coconut leaves with a shell center. Hand-crafted in Micronesia. Ceramic Aloha Teddy Bear Christmas Ornaments - Hand-made in Hawai'i. Each one is unique. Mini ipu and poi pounder ceramic Christmas ornaments are perfect for your tree. Mini ipu and poi pounder ceramic Christmas ornaments. Made in Hawai'i. 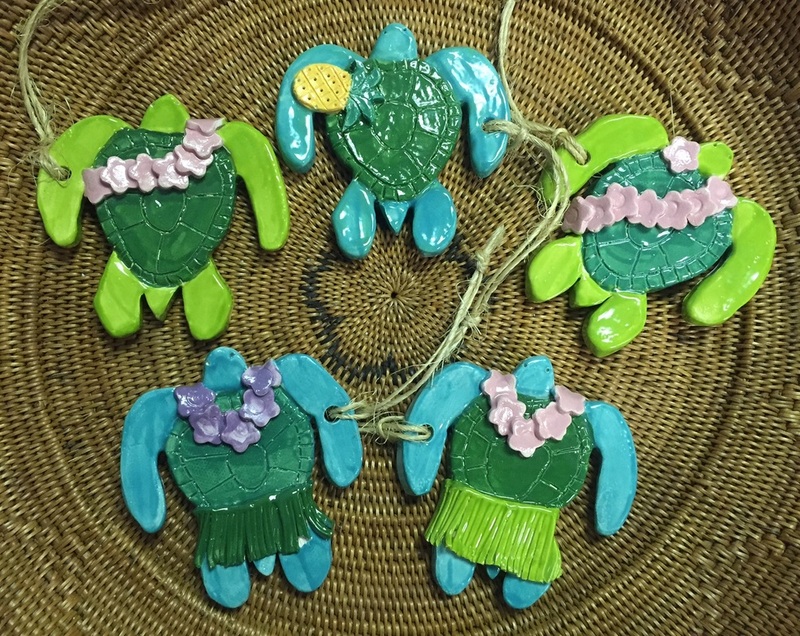 Ceramic honu Christmas ornaments look so cute in their leis and grass skirts. Made in Hawai'i. 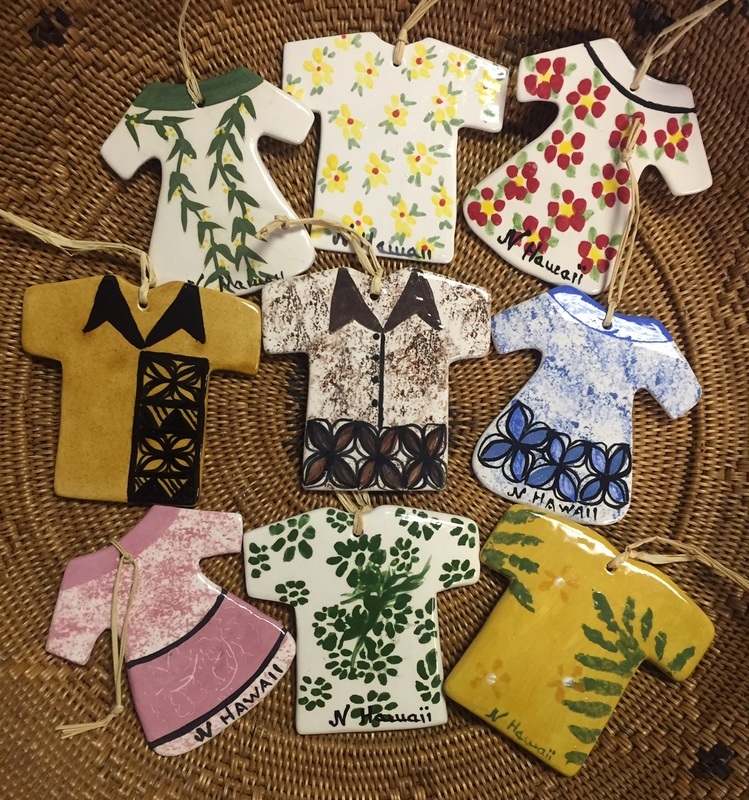 Ceramic Aloha Wear Christmas Ornaments - Made in Hawai'i. Unique patterns and designs bring a little Aloha to your Holiday decor. 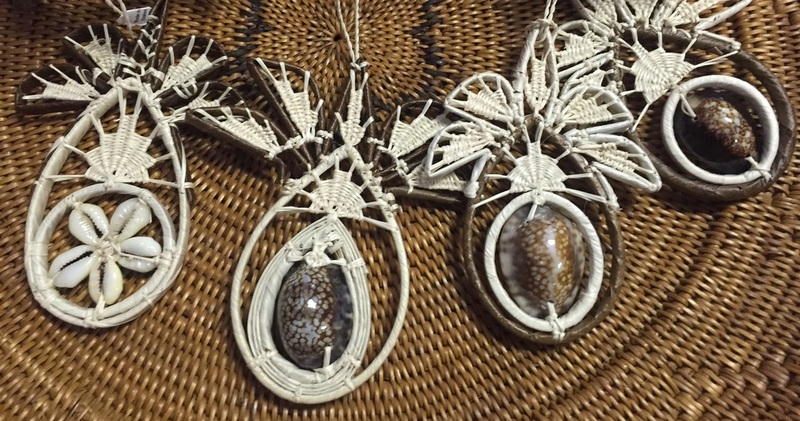 Beautifully hand-woven Christmas ornaments from Micronesia. These ornaments feature Holiday and Island themes such as honu, pineapple, star, fish and angel. Hand-woven Christmas ornaments in Micronesia from lauhala leaves, and young coconut leaves with shell accents. Lauhala Trading is proud to feature art, crafts and other products from producers in Hawaii, Fiji, Samoa, Niue Island, French Polynesia, Tahiti, Marquesas Islands, Austral Islands, Tonga Islands, Cook Islands, Bali, Micronesia, Marshall Islands, Pohnpei, Chuuk, Yap, and more!